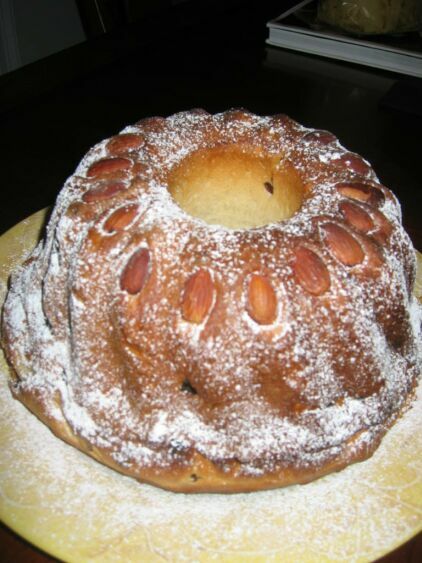 Kugelhopf is traditionally baked in a special Kugelhopf mold, which gives it a festive look. 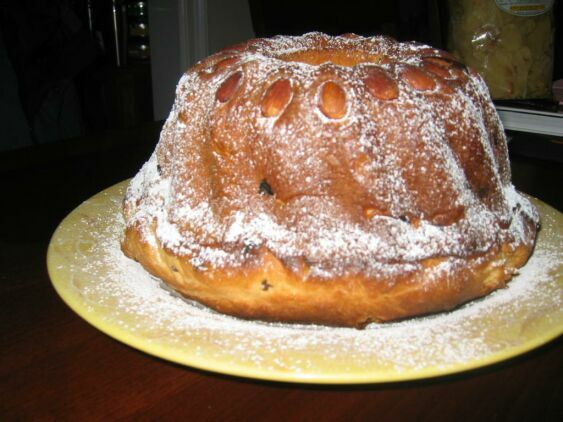 Kugelhopf is an excellent coffee cake or breakfast bread, especially with fresh butter and honey. 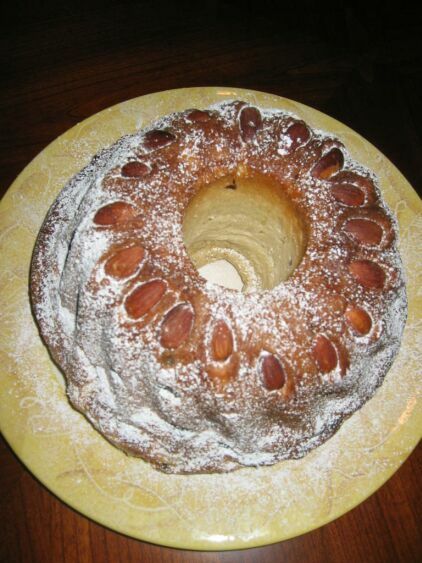 It can also be served topped with fruit, and makes delicious toast indeed. 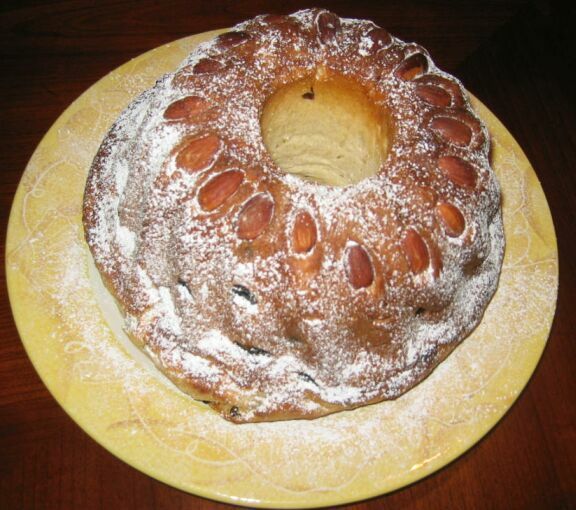 Part bread, part cake, Kugelhopf is made very much like brioche. 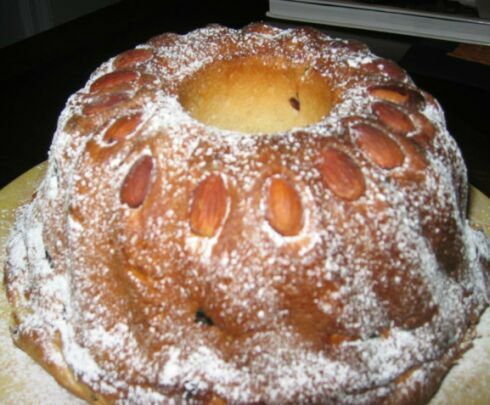 In fact, it is almost a brioche, but not a rich one. 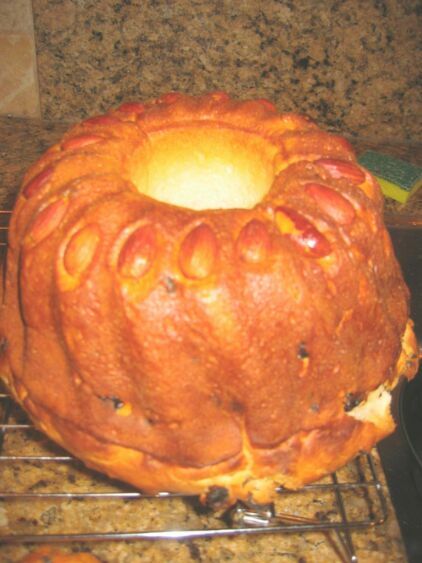 You won't miss the bit of butter that's left out of the dough because once it's baked, the cake is soaked with melted butter and sprinkled with sugar, so it develops a fine crust. 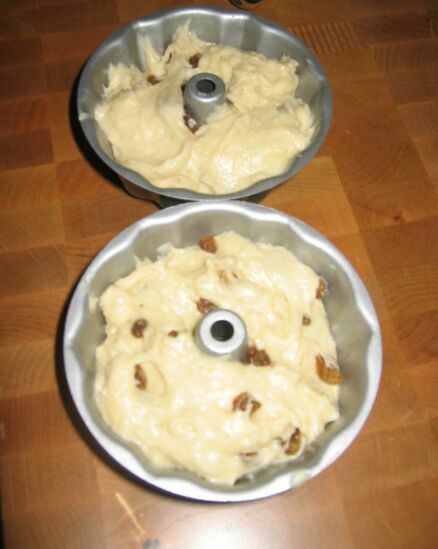 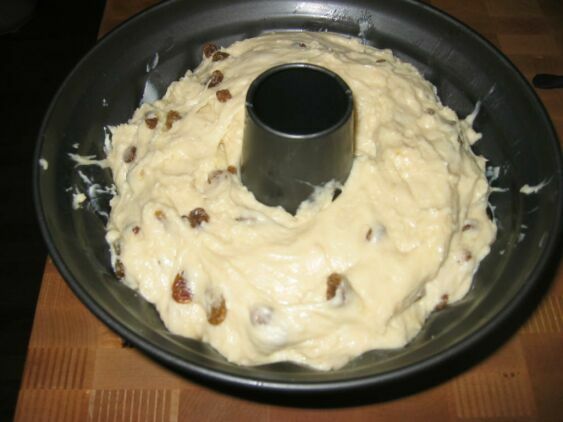 The Kugelhopg is a cake made from yeast dough and then filled in a Kugelhopf mold in the shape of an inverted flower pot, with a hole through the centre and it is filled with raisins. 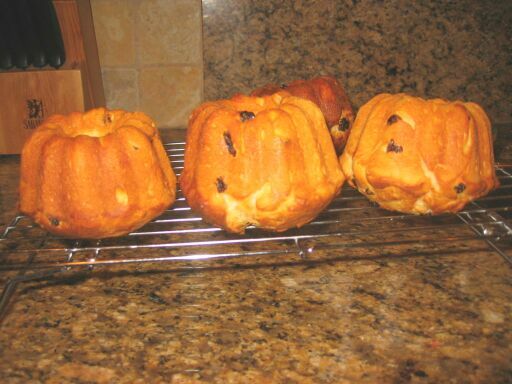 the smaller Kugelhopf are ready and are in a cooler rack. 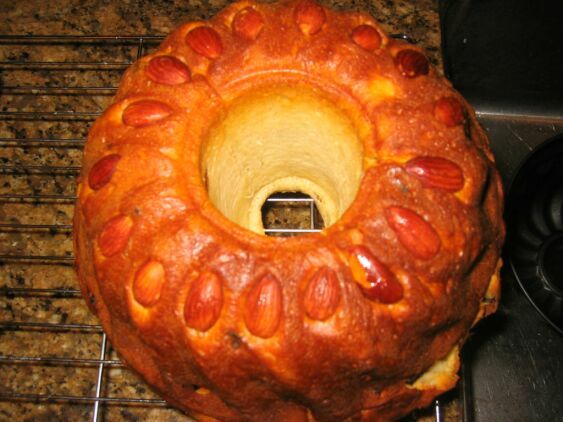 Freshly out of the oven and on the cooler rack. 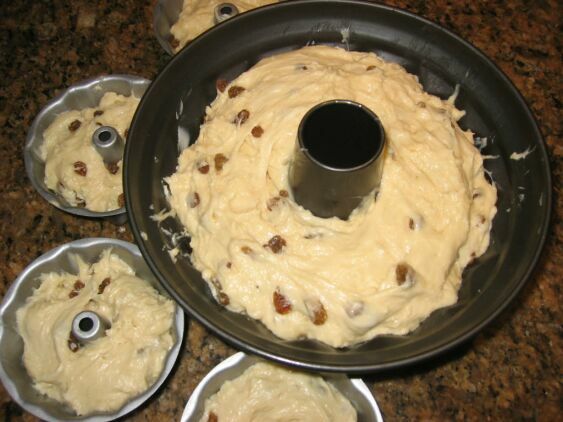 once it is cooled down powdered sugar will be dusted on the cake.